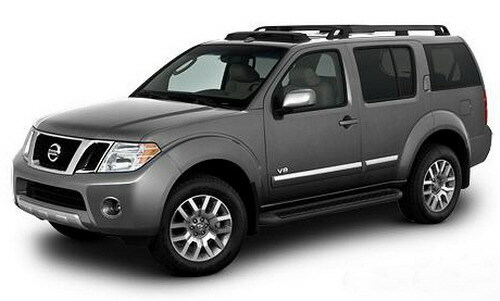 The 2009 Nissan Pathfinder is a seven passenger SUV with 5,000 pounds weight. The drive cannot be called a smooth and enjoyable. Most of the bumpy tracks made the car scream. It has terrible door seals which are loose and squeak; it feels as if they will be displaced with an air blow. This noisy giant is not up to the mark as the other cars from Nissan. Its loud sounds give an impression that the vehicle is carrying a lot of load and doing its best to carry that. While driving the Nissan Pathfinder, it feels as if the car is putting down a lot of weight on the road tracks. It shows off as if it is hesitating while made to run. The engine roars loud too, whereas the other V6s available in the today market are not much noisy, especially those offered by Honda. Though the drive is not smooth and entertains you with a lot of whining squeaks, its built gives a strong look with a capability of towing 6000 lb. The interior too is impressive. The third row seating can be folded 50/50, which makes it more spacious at the back. 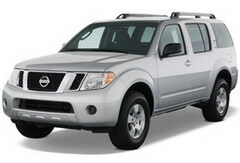 Nissan Pathfinders are offered in luxury oriented LE trim and midsize SUV in S, SE off-Road, and SE. Installed with V6 4.0 liters engine and 266 hp. It is hoped that Nissan will make effort to make its future cars/trucks a bit smooth. More attention should be paid to its proper fittings accessories and windows so that the drivers and riders can enjoy the ride without the irritating squeaks, and loud rattles.